by Bill Mulrenin @ 4:46 pm on May 23, 2014. As part of a project I am working on, I’m trying to date each of the undated patches shown below. 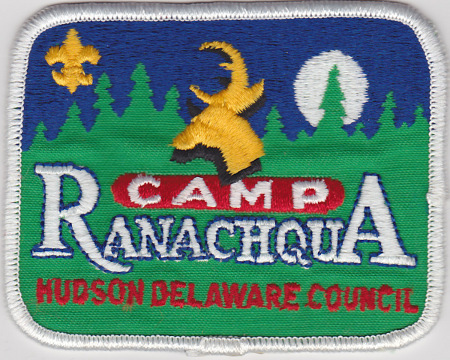 Hudson Delaware Council leased Camp Ranachqua from GNYC from circa 1981 through 1996. 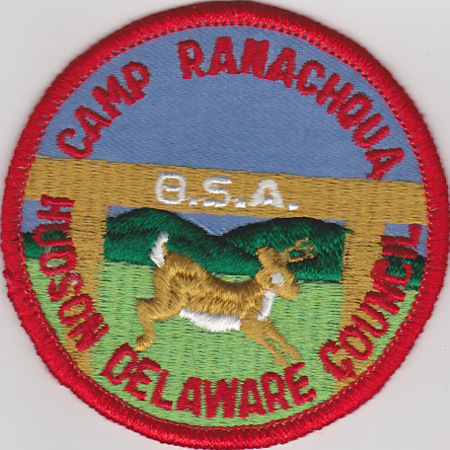 In 1996 as the result of council mergers, Hudson Delaware Council became Hudson Valley Council. 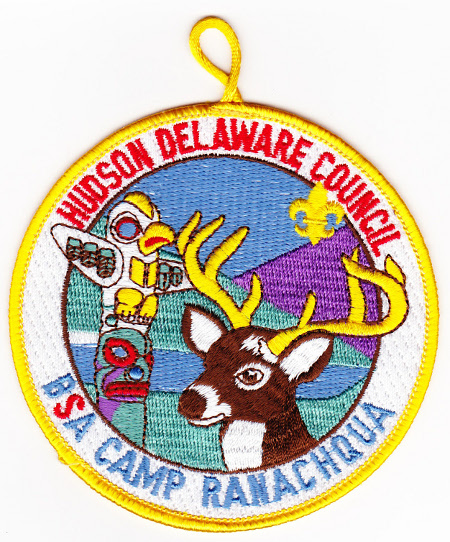 I have dated patches from the following years, 1989, 1991, 1992, 1994, & 1995 in my collection. 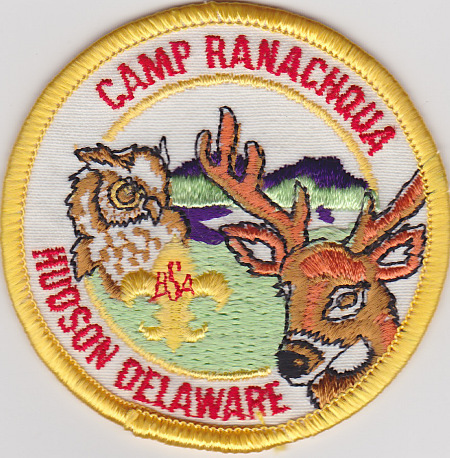 So these patches should be from one of the other years (1981-1988, 1990). 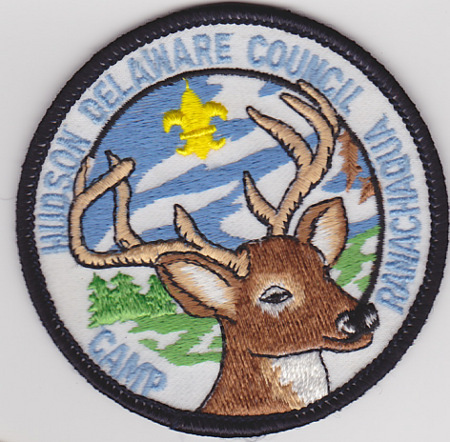 Any help in dating these patches even to a range would be helpful. Some may have been used for more than one year. Based on the presence of the owl, I believe this is from sometime in the 1980’s. I also have this with a purple border (Leader) and Gold Mylar (Staff). I believe based on the style and number of issues, this is from 1993. Can anyone confirm the years any of these patches were used or narrow down the time frame? 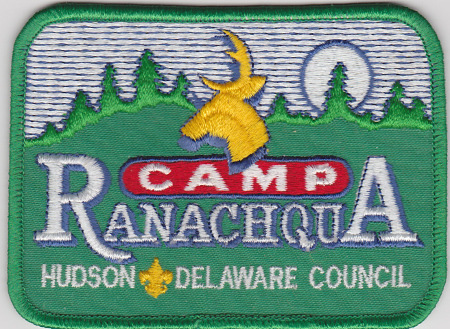 I will likely be adding other Ranachqua Patches to this page.